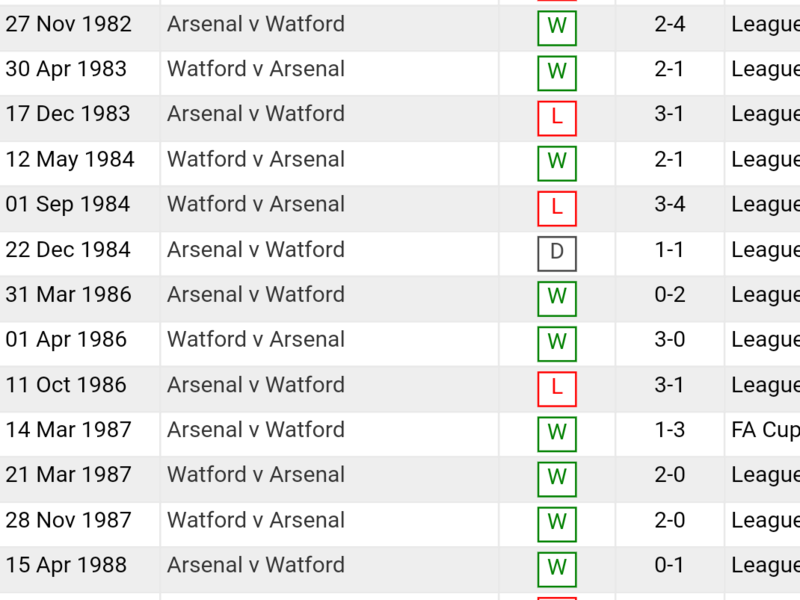 Aside from the following FA Cup wins, our league record against Watford (founded as Watford Rovers in 1881) only begins as recently as 1982. This is because they were in the Southern League up until 1920 and then finally reached the First Division with promotion from the second division in the 1981/2 season. Elton John and his appointment of Graham Taylor in 1977 saw the club’s rise from the Fourth Division right up to the top flight in only 5 seasons. These were the days of John Barnes and Luther Blissett. Blissett still holds Watford’s records for overall appearances 503 (league 415) and overall goals 186 (league goals 148). Luther Blissett was also famous for being signed by AC Milan “by mistake”. Rumours still abound in Italy that it was John Barnes who was being scouted but it was big Luther who was signed in error. Sounds a bit racist to me. He returned to Watford after one season. The current incarnation of Watford FC has been in the Premier League since 2015 and they have consolidated well with a string of decent Spanish, Italian and Portuguese managers. The loathsome Troy Deeney is the current club captain, though some find his aggression and honesty refreshing. This entry was posted on Friday, September 28th, 2018 at 8:35 am and is filed under Uncategorized. You can follow any responses to this entry through the RSS 2.0 feed. You can leave a response, or trackback from your own site. Thanks for that, there is a lot of info up there I didn’t know. I play Lichten in the middle because he can play there and I play Ramsey ahead of Ozil because I think Ozil would then come in the last 20-30 mins to score us a beautiful goal. I say the game plan is easy: keep a clean sheet for 20 mins and take control of midfield and game pace. Then grab a goal before half time. Score another one on the counter at the beginning of second half. Then keep cool and bring in Ozil and Wellbeck to finish Watford with a third. We can then let the usual goal against us in. There’s always something interesting in looking at our history against other outfits. p.s. GN5 is off on a week’s manoeuvres from today, so won’t be around to be thanked for his post. Thanks GN5. Will get to the post later in the day. BR – did you watch the Laver Cup recently? It was really fun and the format is nice with rather short and intense matches. Good tennis overall. RC. I was in Paris over the weekend and there was nothing, absolutely nothing about the Ryder Cup. I asked people if they knew what it was and no-one did! I am not a fan of tennis but my parents took me to see Rod Laver play at Wimbledon. Drama at Man Utd according to reports as the dressing room is divided between the pro-Mourinho and pro-Pogba. Utd should really expel Pogba until X-Mas or sack Mourinho before it is too late. Let us also shut Deeney’s face this week-end. Danger also called Pereyra and Gray. And we have to frustrate Capoue – put LT on him at all times. BTW – I really want Wellbeck to score to really annoy Deeney. Deeney needs to be really finished. I hope for a grand performance from Holding. Key will be Bellerin, Holding, Monreal and our 2 Mids. If we can contain Watford, I think we can blast them offensively thanks to Auba and Laca. 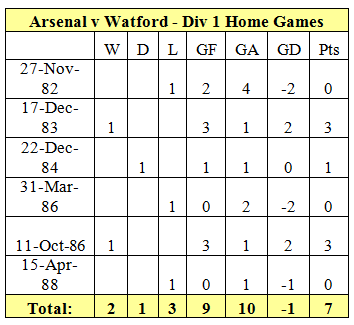 My worst footballing day was at Vicarage Road. Early to mid 80s. Arsenal fans at away end with no roof. Driving rain like needles into our eyes. I couldn’t see because I was so pissed. 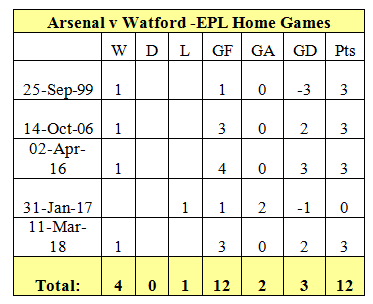 Soz, the ‘won’ and ‘lost’ are reversed as i went for Watford v Arsenal. I cannot believe how slow I have been on the uptake, so it is Arsenal who have withdrawn a 4 year contract offer with Ramsey, woo, this is different, hardball. I love that Ian Poulter is a committed Gooner. Top, top bloke. I went to most of those Watford away games in the 80’s. Like Micky, can’t remember them at all. Why did Fred put up 3.38? raddy – what did poulter do? did he wear something Arsenalish? Nice one Fred, most of the clips of the goal of the season miss the Leno pass, yes a bit chancey and Lichsteiner’s header fell kindly but the rest is pure Arsenal magic. That Leegunner (Gunnervlogs ) is one of those really hideous AFTV knobheads who films himself in his car slagging off the players and the club. He’s a complete and utter pillock. Whoever he is, it’s a good point, nay? The question is therefore could Unai and his team do better than re-signing a 27 yr . old for £52m? He’s an oxygen thief and should be deprived of all publicity. Only an idiot would follow him on twitter. If he ever did make a sensible comment, it’s probably been lifted from elsewhere. 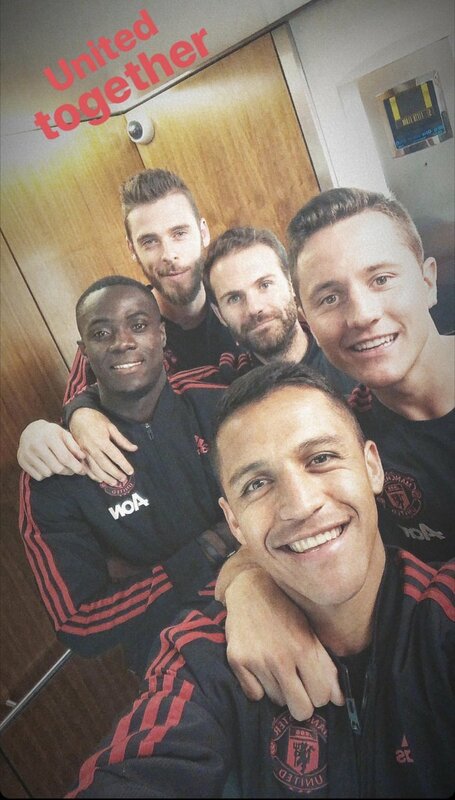 what happens for the rest of the season? You can’t really pick him to play again, can you? I realise you might think that that is a good thing! You can naff off in January, we don’t need you, in fact we’re not even going to let you agree to the huge amount we offered you already if no-one comes in with more. Offer withdrawn. This is where he stole the clip from. Posted the day before his. before ‘new post’ arrives there are 2 wonderful stories that caught my eye: boxing gym Dale Youth destroyed during the Greenfel fire has been rebuilt, improved and extended. I saw it PACKED with youngsters training boxing, awsome. Second, a Somalian girl Ramla Ali dreamed of becoming a boxer, but was forbidden by her parents to train on religious grounds. But she won, she is a boxer and will represent Somalia in the next olympics. Her whole country is behind her. I am Somalian now. Eddie is an Anglo-Polish- Somalian! Vote now: will Ramsey start?